Log into your account on the web. On the left hand side of your account, click on Jobs. A few options will pull up. Click on New Job. Title the job with whatever you want it to be called. This is the job your employees will click on when clocking in to choose what they are working on. Select which employees you want to be able to use and to see that Job name. Decide if you want to require geofencing. Geofencing creates a virtual boundary in which employees are required to punch in/out. Selecting this option will still allow employees to clock in and out outside of the desired location but will flag their time sheet if they are out of bounds of the geofence. 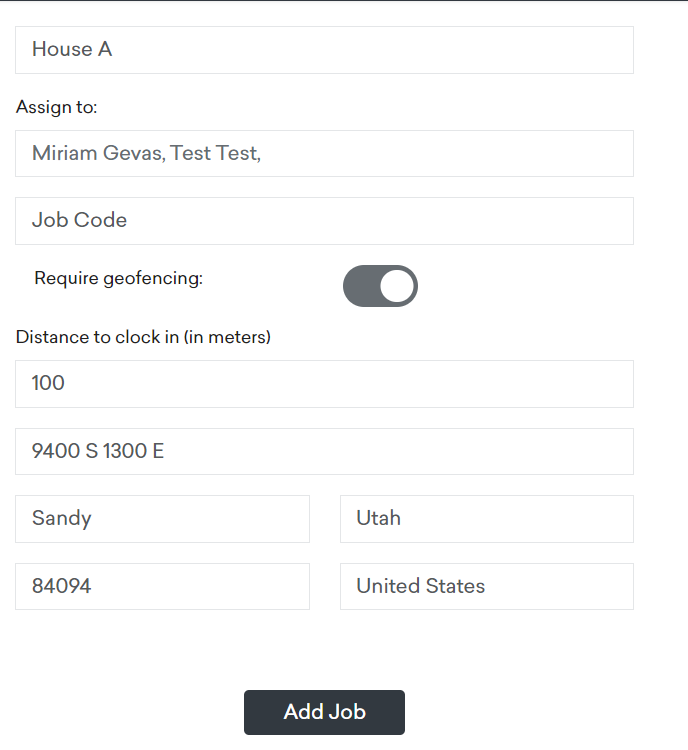 If you select Require geofencing, put in the address that job is located at and how many meters you want them to be able to clock in without you getting a flag on that time. Select Add Job to save the job. To add jobs from your mobile app is very similar to the web. 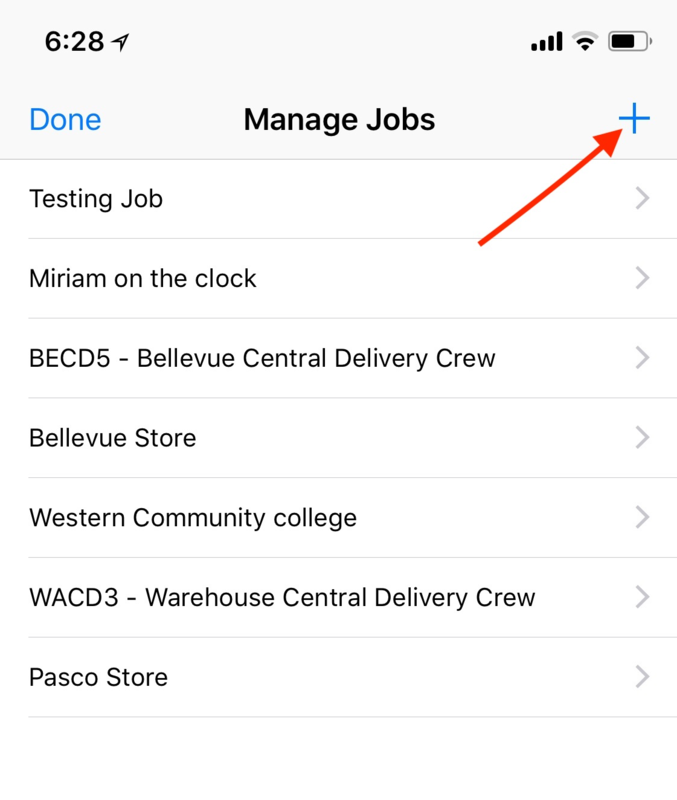 On the bottom right of your account on the app, click on Manage and then select Manage Jobs. Then in the top right corner of your screen, click the +. This will pull up the screen to add all of your job name and geofencing info. Then tap on Done. Note: The mobile apps do not currently allow you to assign jobs to users. All jobs created and mobile will be visible to the whole company.